I’ve been making a lot of tacos lately. 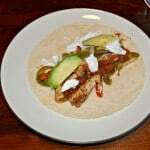 I haven’t felt like cooking big dinners and one of my favorite and easy to make dinners is old school tacos. It’s basically ground beef with taco seasoning stuffed in a hard shell with cheese, lettuce, and sometimes taco sauce. My husband usually adds on sour cream and jalapenos too. However, after a while the same old tacos get boring. Sometimes I switch it up and make a taco salad but it’s the same ingredients just in a different vessel so it isn’t too different. It is a healthier meal and I can make myself believe I’m eating healthy when I make a taco salad. 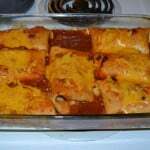 My husband loves enchiladas and burritos and so do I. The problem is I just haven’t felt up to cooking everything, rolling it in a tortilla, then baking it again. It’s just a lot of extra work I’m not up for. 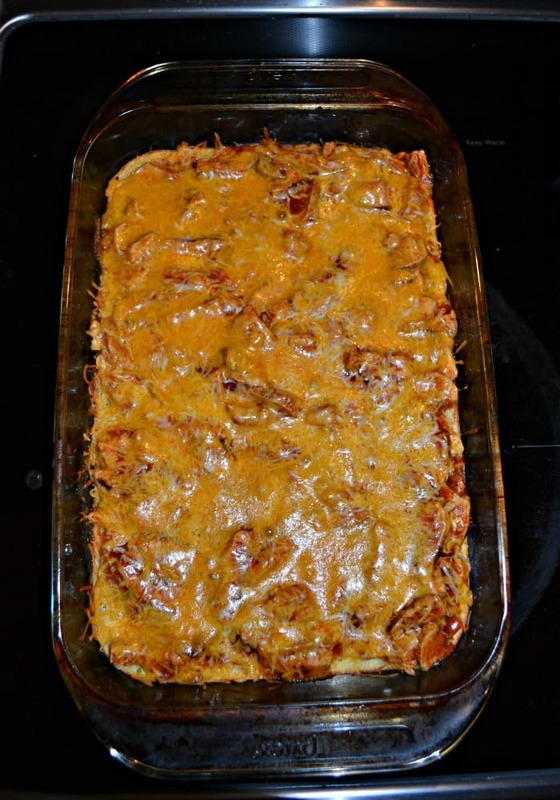 So when I came across a recipe for this Chicken Tamale Casserole it sounded perfect. 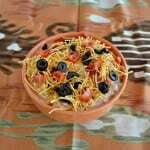 It had a lot of our favorite Mexican meal ingredients and sounded pretty easy to make. The base of the casserole has cornbread in it. It’s not purely cornbread though as it has creamed corn and green chilies in it as well. This makes for a more moist cornbread that packs some spice. It’s baked in the oven until it’s mostly cooked through. Then the chicken and enchilada sauce mixture is poured on top of the cornbread. 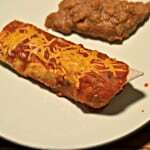 The result is a tasty one dish Mexican meal. It has the cornbread base that soaks in the enchilada sauce. The chicken and cheese combine together on top of the cornbread. 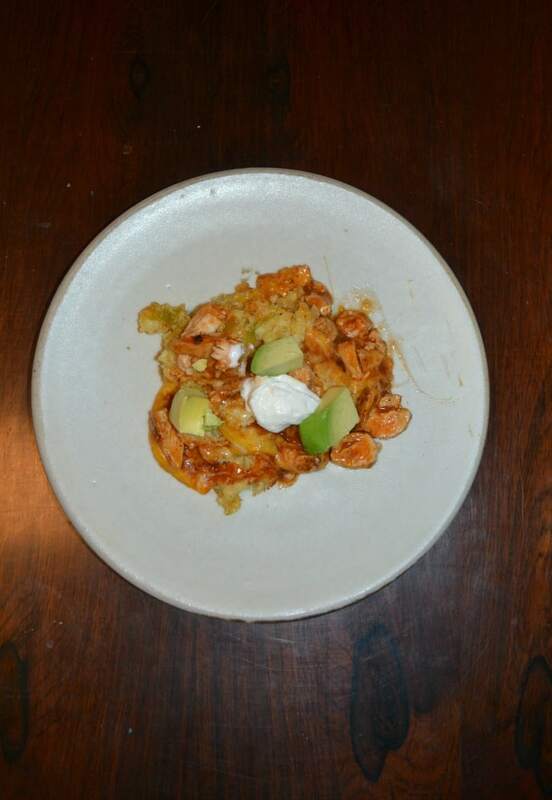 I served it with some tortilla chips for an added crunch which worked well since the casserole is mostly soft. I liked the bit of spice that the green chilies packed to the dish. It’s a great choice for a one pot meal! 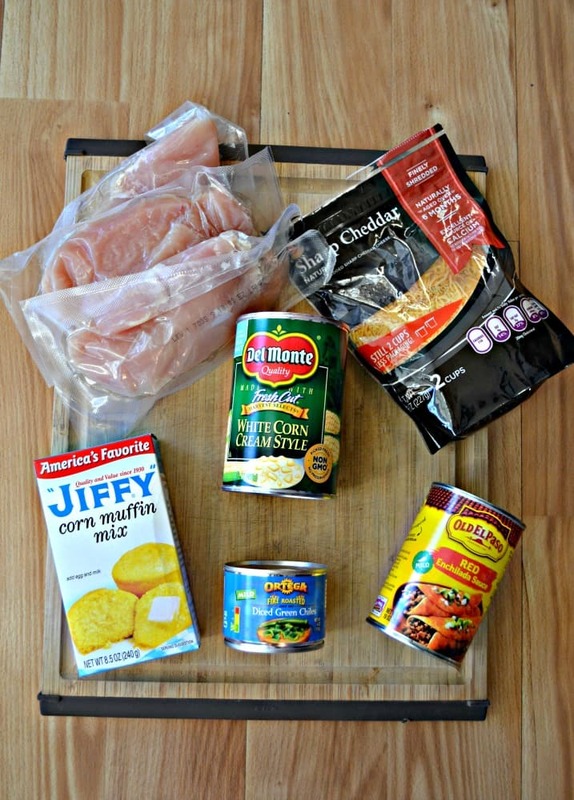 A delicious one pot Mexican meal with a cornbread base topped off with chicken and cheese. Preheat the oven to 400 degrees. Spray a 9 x 13 pan with cooking spray and set aside. In a large bowl combine the creamed corn, corn muffin mix, green chilies, sour cream, egg, cumin, black pepper, salt, and half of the cheese. Mix well. Pour the mixture into the pan and spread until smooth. Bake for 20-25 minutes or until it begins to brown. Remove from oven and poke holes all over the surface of the cornbread. 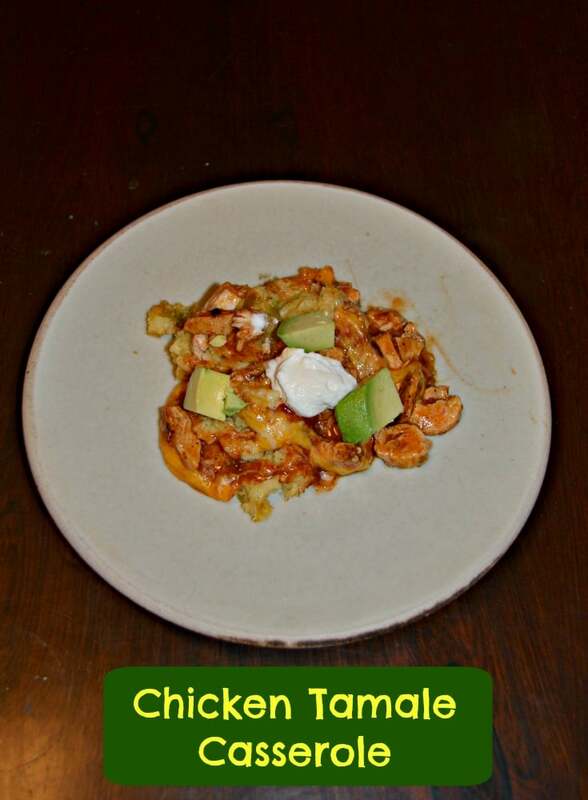 In a medium bowl combine the cooked chicken and enchilada sauce. Pour over top of the cornbread. Bake for an additional 10 minutes or until the cheese is melted. 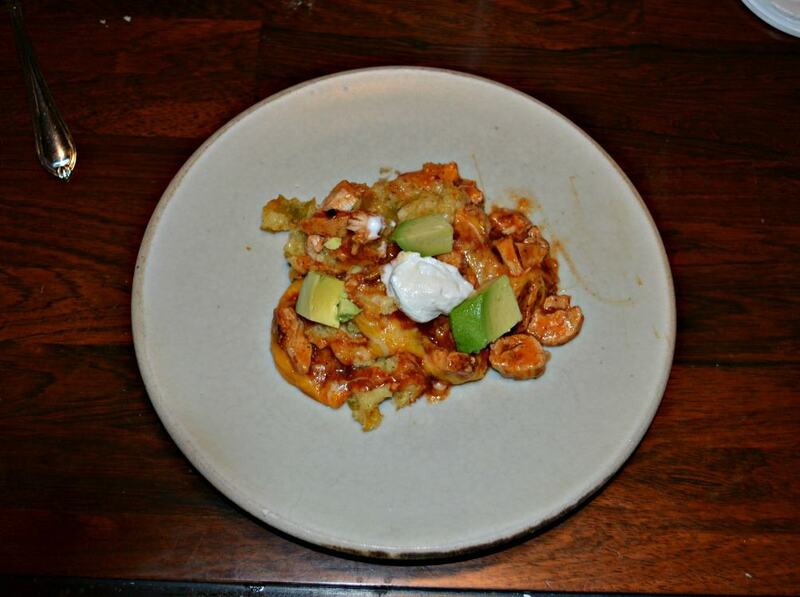 Remove from oven and serve with sour cream and avocados. Sometimes a casserole is just what you need to change things up a bit.